The French have an interesting phrase for an unconventionally attractive woman: jolie laide. The English equivalent would be “pretty ugly,” but the ambiguity of the French meaning is lost in the translation. 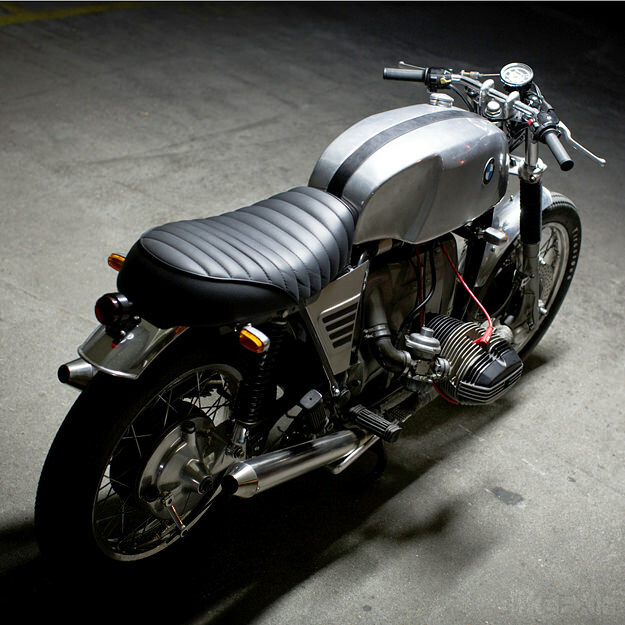 The phrase sprung to my mind when I first saw this BMW, a 1978 R100/7 that lay in bits and pieces in a garage for years. Restored and running again, it’s far from beautiful—but it has a transfixing quality that would stop the traffic even in blasé Paris. 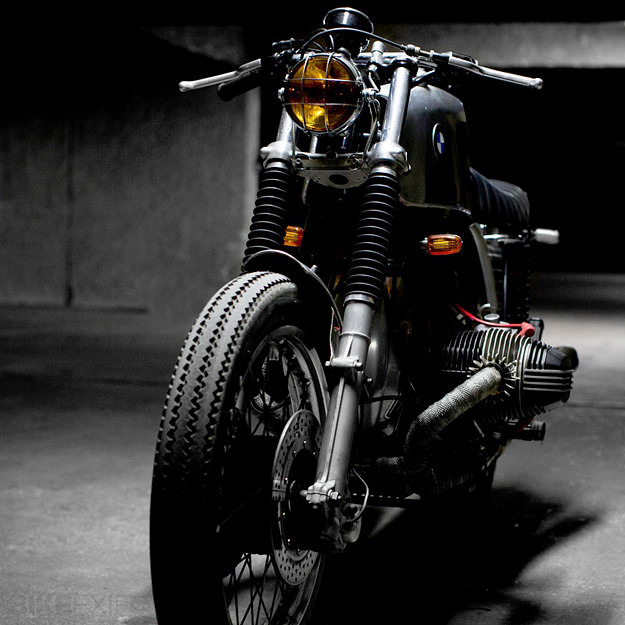 The bike was discovered by Nico, one of the founders of the French moto lifestyle website 4H10. 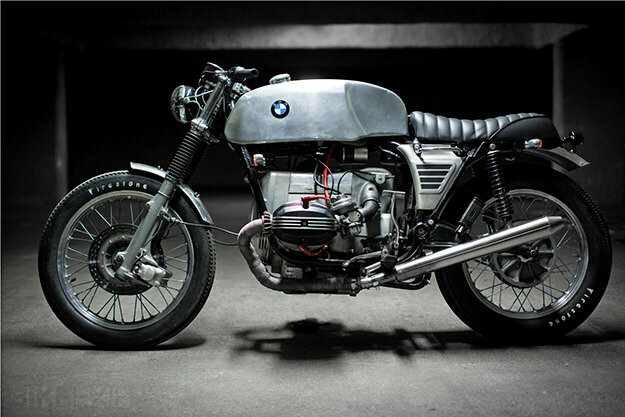 It was the Rickman racing tank that first caught his attention and prompted him to buy the BMW. “I wanted an old but reliable bike that was light but powerful enough to awaken the streets of Paris,” he jokes. 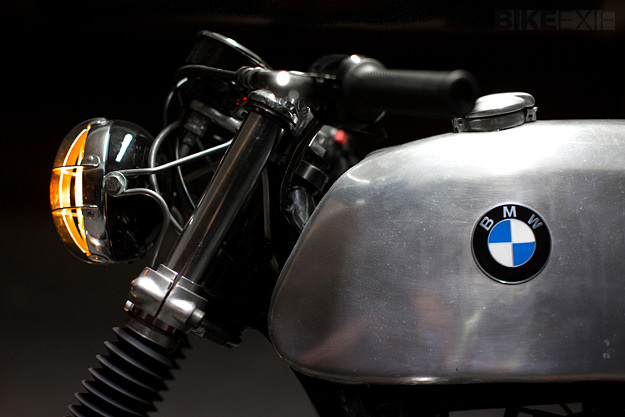 Nico fitted twin-spark cylinder heads from an R80GS and a slim, custom exhaust system in stainless steel. (“Loud, but street legal,” he says.) The original rear frame loop was shortened, and a custom two-up seat fitted—slimmer than the stock two-tier BMW seat, but still comfortable. 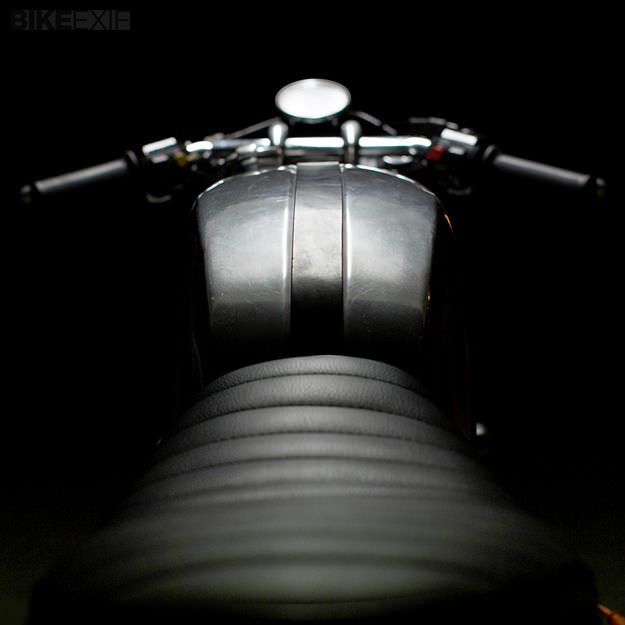 Short aluminum fenders have lightened the look of the R100/7 still further and the headlight is from an old Ossa, wrapped in a vintage grille of unknown provenance. The result might not be conventionally beautiful, but it’s certainly striking. Oui? Images courtesy of Carl Ringdahl & Elodie Matyjasik, CremProd.